I will review a product that I've been using for a month and I love, specially now that the hot weather has arrived. What is this? 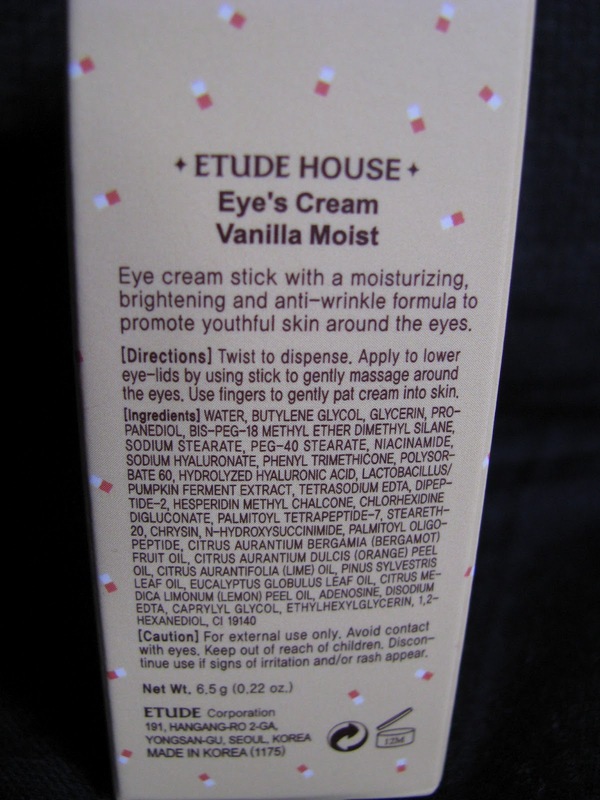 : An eye "cream" on a stick. It's very refreshing and moisturizing. It's got a faint smell of vanilla but the soft scent of this product is more citrus. No SPF. How to use: apply directly to the eye (see picture below) and let it sit for a few seconds to feel the cooling effect before dabbing the product for a better absortion. What I like: It's moisturizing. It's cooling effect helps reduce the undreye bags. You don't need to store it in the fridge to get the cooling effect. It's easily absorved. The packaging is so cute! What I don't like: Haven't found a thing I dislike about this product yet. Maybe kind of expected it to have a stronger vanilla fragrance. There's another version of this product with mint: Etude House Eye's Cream Mint Cooling, and that one has SPF 30. 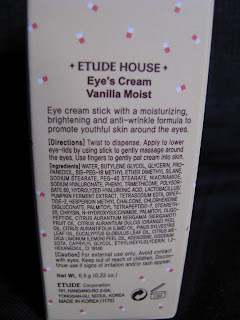 Have you tired any of Etude House Eye's creams? What do you think about them?